Pink Beach Bali is a beach with pink sand which is actually located on the island of Lombok. Nothing wrong with a lot of people thought that Lombok is part of Bali, so expect Pink Beach in Lombok is located on the island of Bali. 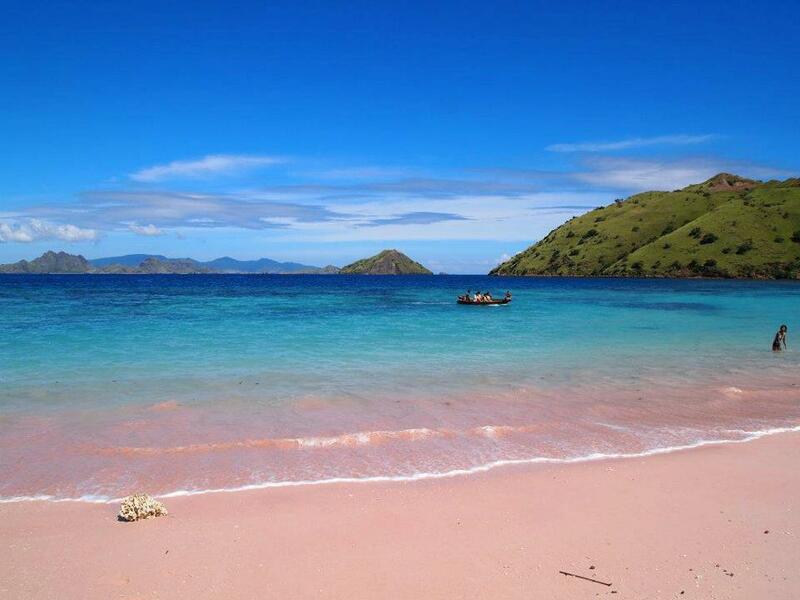 The most famous Pink Beach is located in Flores, East Nusa Tenggara, not far from Taman Nasional Komodo. 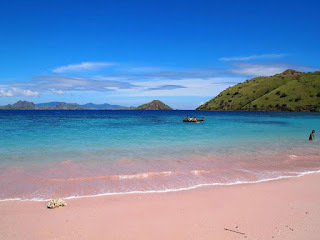 Pink Beach in Lombok is located in Lombok Timur, District Jerowaru, Village Sekaroh, Tameak. 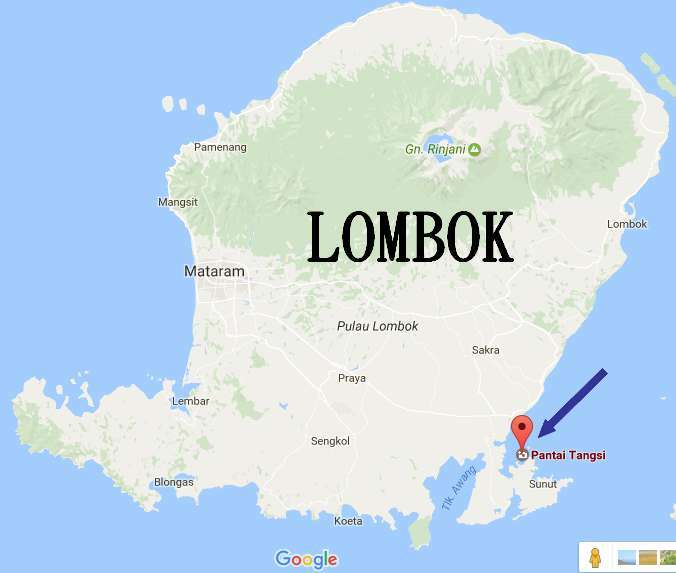 The distance is about 2 hours from the city of Mataram, or about 1.5 hours from Lombok International Airport in Praya. Locals call this beach with beach Tangsi, but better known as the Pink Beach Bali is located in Lombok. Why this beach called Pink Beach? Because the pink color seen on the sand at the beach. Typically, the sand on the beach is white, black or yellow, as the color of sand at Kuta Beach, Pandava Beach, Sanur Beach, and other beaches in general. But the beach is very unique, pink. Locals call this beach by name Tangsi Beach, Lombok, not the Pink Beach Bali. Pink in the sand granules derived from red coral reefs which have crumbled into sand, mixed with white sand. The pink color will be visible at sunrise or sunset, when the sun is not chested above. 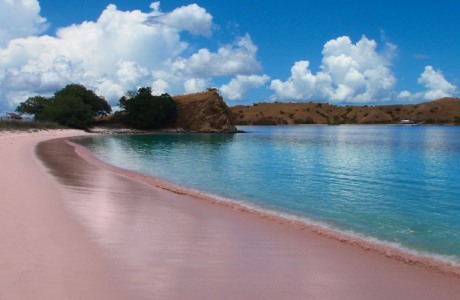 Pink Beach that are in Lombok has a long coastline, with calm sea waves, ideal to be enjoyed. The clear sea water will make travelers want to immediately plunged into the sea for swimming, snorkeling, or diving. You should know, that the real Bali Pink Beach Area beach in Lombok, nukan on the island of Bali. Pink Beach has a natural charm extraordinary underwater. There are plenty of spots for snorkeling, shallow sea with the support of crystal-clear sea water, excellent for diving and snorkeling. In fact, at a certain point dive the coral reefs there is a hill about 300 meters from the shoreline. This area is very suitable for tourists who want to cool off from the density of the daily routine. On the beach there is no facility whatever is available. There is no hotel or restaurant, tourism mepunjang inadequate facilities, only the houses that surround the beach. Reportedly in the near future, a Swedish investor will build a resort on this beach. Access to the beach is quite difficult, the location is far from the city center, the road to the beach is also very bad, there is no public transport and buses to get to this location. This beach can be said to be isolated from the crowds. 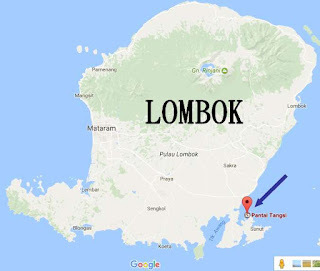 To get to the Pink Beach Tangsi or Beach, tourists should take the route towards the East Lombok towards Tanjung Ringgit. About 1 km before the entrance Tanjung Ringgit, there is a T-junction with a sign made simple way to show the location of Pink Beach / Tangsi. Only about 50 meters from the T-junction there is a heaven that would make anyone wonder. Like a pearl in the mud, Pink Beach feasible so called because of its beauty. 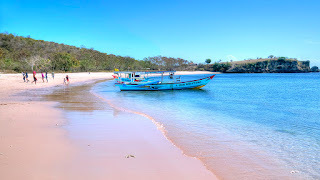 But it must be kept in mind that it's not the Pink Beach Bali, but Pink Beach Lombok (Tangsi Beach Lombok). Other access to reach this beach apart by road is by sea, which tourists can access to Tanjung Outside of this little harbor, tourists can use the boat, en route through this pathway about 1 hour and stops in some places beautiful which is now used as a new destination when traveling to the Pink Beach Lombok, such as Sand Island, Pink Beach 2, Gili Petelu, Pink Beach 1, and Semangkok Beach. Travelers will not find a complete and super luxury facilities such as the beach in general. You will only find fishermen offer boats to surround the small island and several people offering drinks and no lodging. Therefore, you are advised of the island in the afternoon to go back to the inn.